MAB Funds Management Limited have sold the Mornington Village Shopping Centre to a private Victorian investor for $25.8 million. 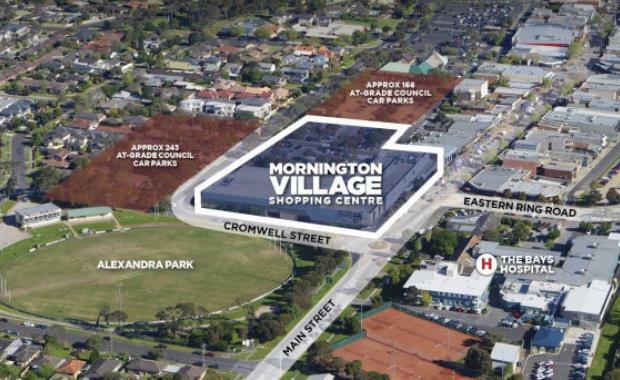 The transaction of Mornington Village marks the second Victorian shopping centre sold on behalf of MAB in 2013, following on from the successful sale of the University Hill Town Centre for $37.1 million earlier in the year. The neighbourhood shopping centre is located within the Mornington town centre on the Mornington Peninsula. CBRE Victorian Retail Investments Director Mark Wizel and Associate Director Justin Dowers negotiated the sale on behalf of MAB Funds. “After monitoring the market for some time, MAB is very pleased with the decision to go to the market at the end of 2013 following the key addition of Aldi to the centre in 2012. We are happy to report a strong outcome for the investors of our MAB Diversified Property Trust,” MAB General Manager Nick Gray said. The transaction has come at a time when business confidence and consumer sentiment continue to show positive signs of improvement, with all reported retail spending data across the Christmas and Boxing Day sales period being very positive. “We have witnessed a significant increase in the number of buyers in the market for Victorian retail assets valued between $10 million and $100 million, fueled by a combination of positive factors. Without doubt, a key driver has been the heightened interest from off shore Asian investors looking to enter the Victorian retail investment market,” CBRE’s Mr Dowers said. The 7,963 sqm shopping centre is situated on a 13,078 sqm site within the Mornington town centre, approximately 53km south east of the Melbourne CBD. Major tenants include a Woolworths and Aldi supermarket, Telstra, Nandos, The Reject Shop and Soul Pattinson Chemist. “The strong yield achieved of 7.47% is further evidence of the yield compression that vendors are achieving via on market sales campaigns for Victorian neighbourhood shopping centres,” Mr Dowers said. Mr Dowers added that the significant supply/demand imbalance for retail investments was expected to continue, with no Victorian neighbourhood shopping centres currently forecast to come to the market in early 2014.